In the course of the Christmas campaign of Creaton AG, ARNO took part in the large-scale fundraising campaign “Humanity needs a place!”. The funds will be donated to the Kinderhospitz Mitteldeutschland Nordhausen. In total a considerable amount of 15,000 € was collected to complete the “Sternstundenhaus”, a place to eat, be together and rest. 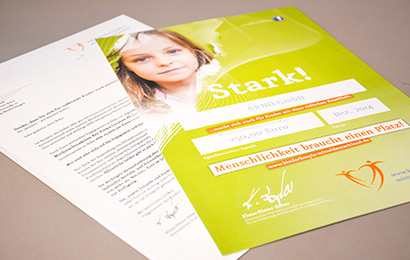 ARNO supported the project with a donation of 250 €. “We are happy to see our customer Creaton take responsibility and to be able to contribute to such a great project,” says Oliver Boltz, Senior Key Account Manager at ARNO.